The Lawrence Genealogy and Local History Room was given to the Greenwood County Library in honor of Doughty and Jack Lawrence and Becky and Ben Lawrence. Although the primary focus is on Greenwood and other South Carolina counties, the collection also holds books, microfilm, and journals on other states. The Lawrence Room is staffed by volunteers. The Lawrence Room is staffed mainly by volunteers, so we are always on the lookout for new volunteers. If you have a basic knowledge of genealogy and an interest in helping others, please join our genealogy volunteers. Training, support, and workshops are provided and schedules are flexible. If you are interested in volunteering in the Genealogy Room, please call Dana Ellis, Volunteer Coordinator, at (864) 941-4654. The GCL Volunteer Application is available on the Volunteer Program page. Please call for hours before you come to be sure that the room is open to the public. 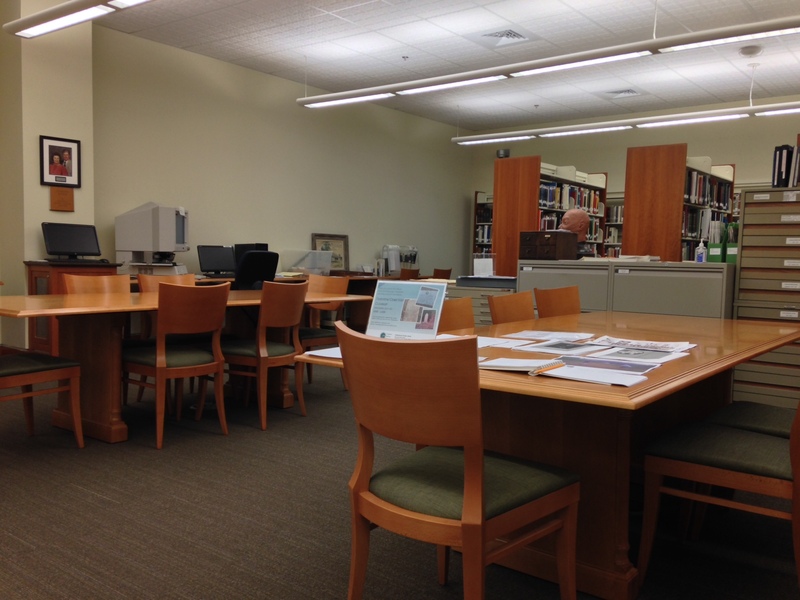 The Lawrence Genealogy Room hours are limited to when we have a volunteer to staff the room. If you do come when the room is closed the Reference Librarians will be happy to pull materials from the Lawrence Room for you to use in a study room. Founded in 1901 by the Ladies Library Association, the Library provided books to many who would not otherwise have access. In its 115-year history, the Greenwood County Library has been in four locations that include 413 Main Street, 532 Monument Street, 106 North Main Street, and currently 600 South Main Street. The Greenwood County Library System, which includes the Main Library, Ninety-Six Branch Library, Ware Shoals Community Library, and the Bookmobile, has always strived to provide the best services possible to the residents of Greenwood County. In the more recent years, that has included offering many more resources and materials in a digital format. 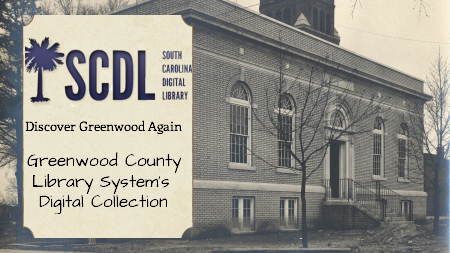 With the help of the South Carolina State Library’s Digitization in a Box Project and the Office of Library Technology of the Clemson University Libraries, we have been able to preserve and make available for viewing many historical photographs and documents from the Greenwood County area. If you have a question about our collections please click here. Find A Grave - Search by name, location, and claim to fame.